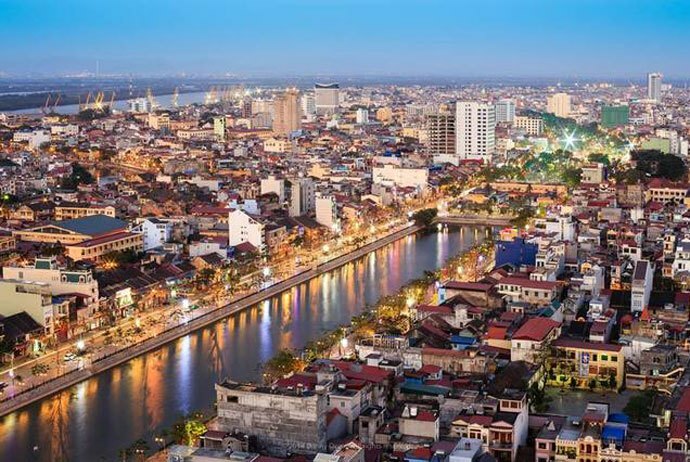 Hai Phong is an important city and also one of the economic, cultural, and culinary centers in Vietnam. Hai Phong food is really plentiful with several specialities which are famous throughout the country. 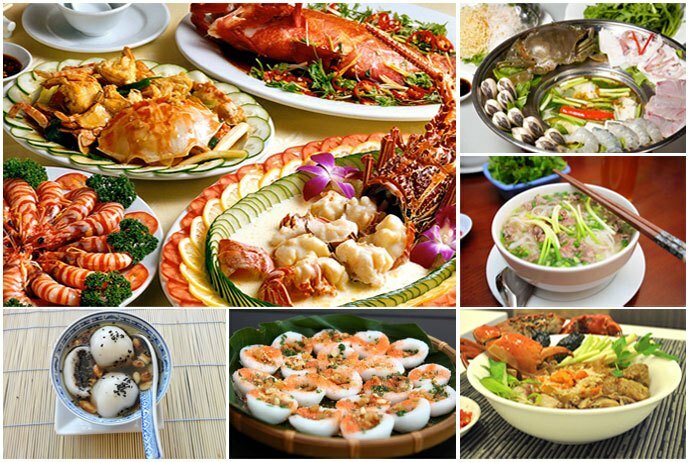 Food to eat in Hai Phong is not cheap and there are many kinds of seafood used to make dishes. There are so many things to mention when talking about Hai Phong food and cuisine. Firstly, we will talk a little bit about this beautiful Vietnam’s seaport city. Haiphong is the third largest city in Vietnam and also the most important seaport in Northern Vietnam as it has large maritime facilities and deep-water anchorage. The name “Hai Phong” means “coastal defense” and it is nicknamed the Flamboyant City due to many Delonix regia planted throughout it. Hai Phong is also called “the city of red poinciana flowers”, the biggest seaport city in Northern Vietnam (with Hai Phong seaport) and one of the biggest industrial centers in the North. It is also the economic, cultural, educational, scientific, and technology in the Northern Coast. Hai Phong’s area just follows the area of Hanoi (the first) and of Ho Chi Minh City (the second). Hai Phong is also one of the 5 central cities, the first-type city at the national level, along with Da Nang and Can Tho. By December 2011, the population of Hai Phong is 1,907,705 with 46,1% urban population and 53.9% rural population, and it is also the third most populous cities in Vietnam. This is the place with the important economic, social, information technology, security, and defense position of the North region and the whole nation, lying on two corridors – the belt of economic cooperation Vietnam – China. Hai Phong is the traffic hub in the North Sea. With the advantage of deep water port so shipping in Hai Phong is well-developed, and it is also one of the growth engines of the Northern economic center. As it is an important economic, scientific, and technical center of the Northern coastal region, and it is one of the two Northern key economic developing centers. Hai Phong has a lot of large industrial, commercial, tourism, educaltional, health, fisheries, and service centers of the Northern Coast. 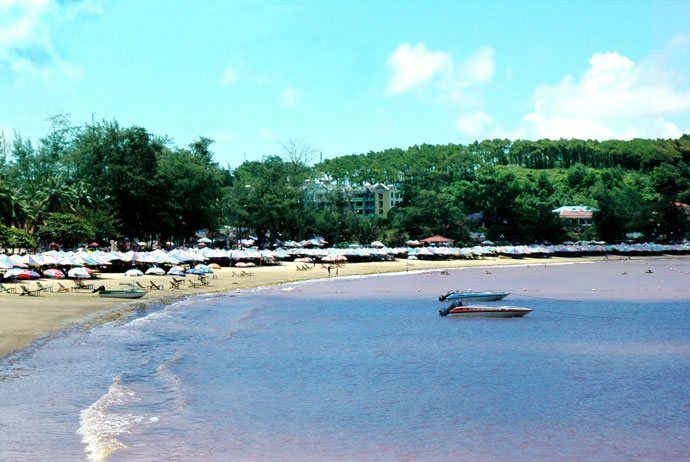 Only 100 km far from Hanoi, “the city of red poinciana flowers” starts the summer with the streets flooded with the red color of poinciana flowers and welcoming several tourists from every region in the country and also foreign tourists. 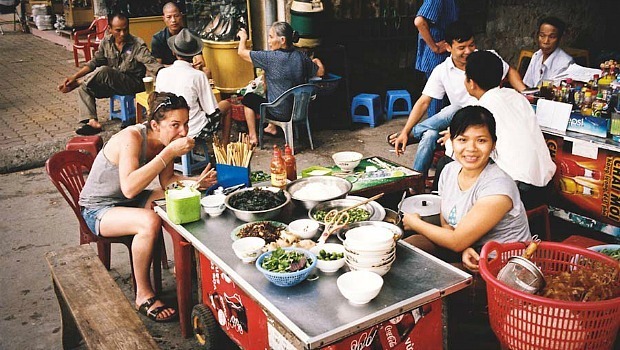 Some dishes originated in Haiphong like field crab red noodle soup, crab spring rolls, field crab hot pot, sautéed snail, Hai Phong spicy sandwich (also called sandwich stick) have been introduced to other areas such as Hanoi , Ho Chi Minh City, and become very popular in these places that sometimes people do not need to use the local appellation of origin (Hai Phong) to mention after (due to Vietnamese structure) the concrete name of the dish, such as “bun ca Hai Phong”, “banh da cua Hai Phong”…The sellers do not need to attact the word “Hai Phong” to their own signboard, the gourmets (especially native people of Hai Phong) can still recognize the origin through the ingredients, taste, the way to present the dishes, and the side dishes to serve together with the main dish. 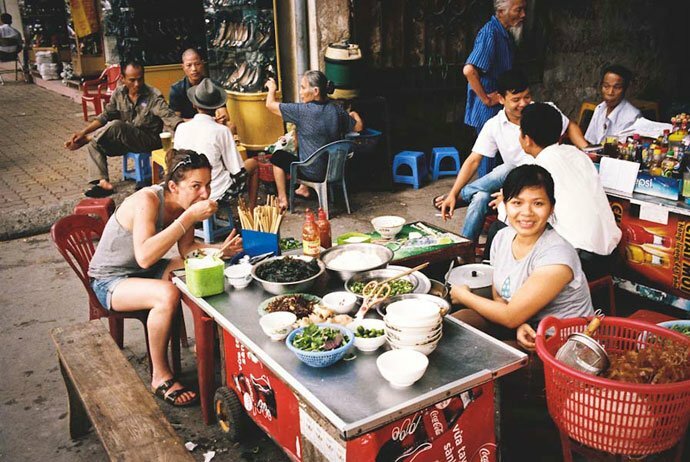 Many restaurants and diners in Hanoi or Saigon might just name on their signboard with “An Bien crab red noodle soup” or “square crab spring rolls”, and many gourmets can understand that it is a dish originated in Haiphong or the sellers are Hai Phong native people. Some dishes can not be indulged in other places but only in Hai Phong or has been modified in ingredients and flavors when they are introduced to other locations. Hai Phong characteristic cuisine is generally at the neutral level of taste – not too spicy, not too salty, and not too sweet so that even Hai Phong food is under the Northern cuisine, it is also very suitable for Central and Southern people to enjoy. Hai Phong culinary is not too picky in terms of materials, spices, or processing methods (as the Hue cuisine which is heavily influenced by the palace cuisine style). 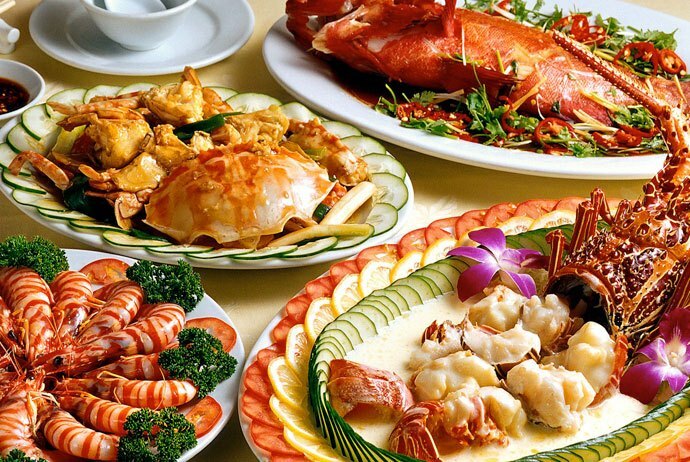 Hai Phong food also does not focus too much on flavor doping yet mainly makes use of the fresh taste available in the raw materials used for processing food (especially seafood raw materials). – Cat Hai fish sauce (originated from Van Van fish sauce, which has been famous since the French colonial period): although Cat Hai fish sauce is not popular in all regions in Vietnam as Phu Quoc fish sauce, yet it has unique taste due to the processing method and the characteristic kind of fish in Hai Phong seas. This kind of fish sauce is suitable for being used to make some Hai Phong’s characteristic dishes, such as mixed fried rice, or being used to serve with square crab spring roll. – Another kind of characteristic materials in Hai Phong is rice paper (and rice dried noodle). In Hai Phong, Du Hang Kenh dried noodle has become one of the most famous branches with the products including red rice dried noodle (used to make crab red noodle soup) and rice paper (used to wrap crab spring rolls). There are some differences in these products compared to those in other localities throughout the country, creating the unique features of Hai Phong crab red noodle soup and square sea crab spring roll. – In addition, Hai Phong is one of the localities where have the long tradition of the canned food processing industry in Vietnam. This industry in Hai Phong is even more famous than Ha Long canned food processing Company.